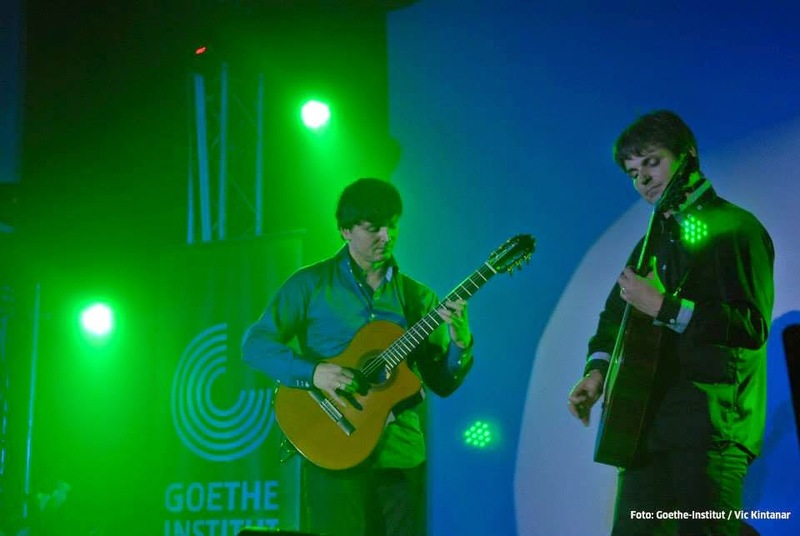 The Goethe-Institut, in collaboration with the University of San Carlos, the Cebu Music Conservatory and the Guitar Foundation of the Philippines, presents a guitar duo concert by twin brothers Peter and Zoltan Katona. This will be held on September 12, 2014 at 6pm at Albert van Gansewinkel Hall, University of San Carlos Law & Business Building Pelaez Street, Cebu City. Admission is FREE. 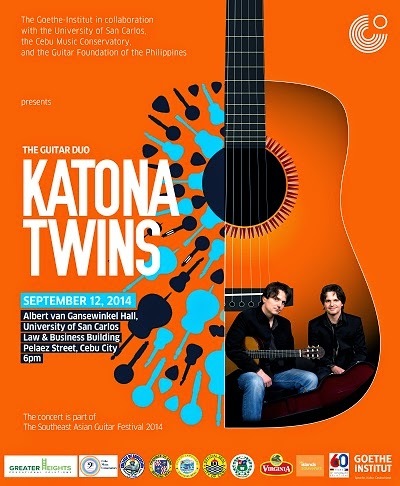 The Katona Twins are, without a doubt, one of the best classic guitar duos, who, for their excellent contributions to the music industry, are very well known and admired. Aside from Cebu, the brothers are also set to perform in Bangkok, Singapore, Penang, Kuala Lumpur and Saigon with pieces by Bach as well as modern songs of the Beatles. Their own compositions are also going to be featured in this event. Their first station, Cebu, is famous for its centuries old tradition of guitar making.